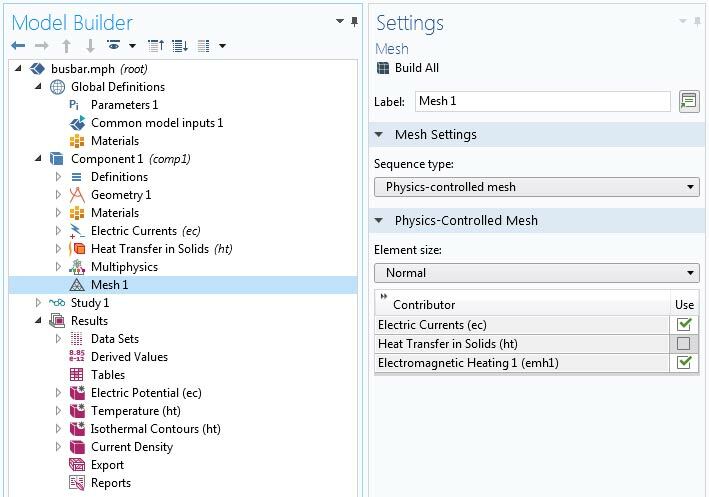 COMSOL Multiphysics® version 5.4 brings several geometry and mesh updates, including collapsing narrow face regions in your geometry, improvements to the Adapt mesh operation, and selecting specific physics interfaces to control your mesh. View all of the geometry and mesh updates below. A new Collapse Face Regions virtual operation has been added that detects and collapses narrow regions of faces automatically. This is helpful for when you import a geometry that has a face with narrow regions, as seen in the associated image, and where you would like to ignore its influence on the mesh. After using the Collapse Face Regions feature on the face highlighted in blue, the mesh is improved. 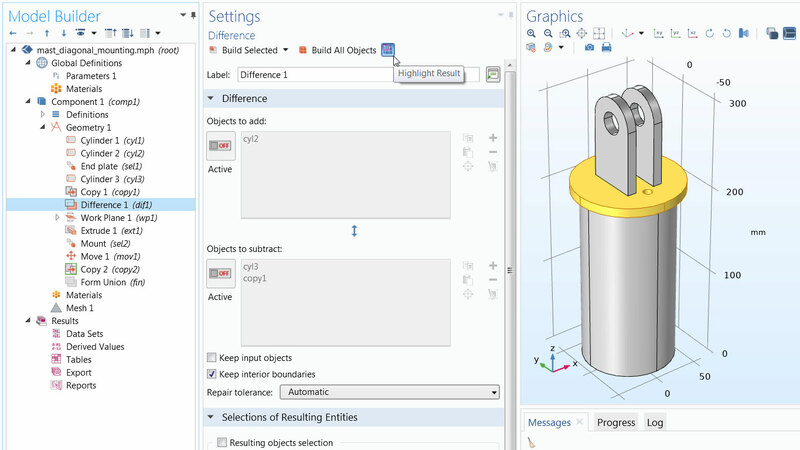 The Remove Details operation has been equipped with a selection list, which means that you can now set different settings for the Remove Details operation on different parts of the geometry. This is useful when preparing a geometry for meshing where different parts of the geometry admits varying levels of simplification. You can highlight the geometry objects resulting from the selected node in the Model Builder by clicking the Highlight Result button. When you are building a geometry sequence, this can be helpful to easily discern the effect of the selected geometry node on the geometry. The object generated by the Difference 1 node is highlighted in yellow after clicking the Highlight Result button in the Settings window. 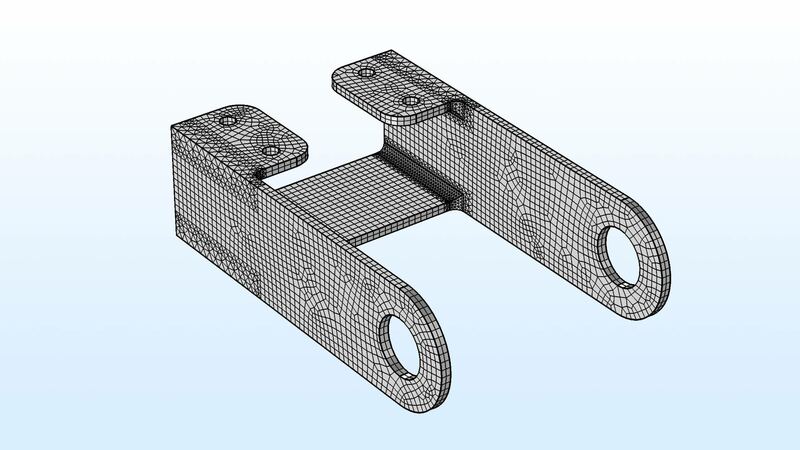 When solving a model using mesh adaptation, previous versions of the COMSOL Multiphysics® software could only adapt by means of mesh refinement. 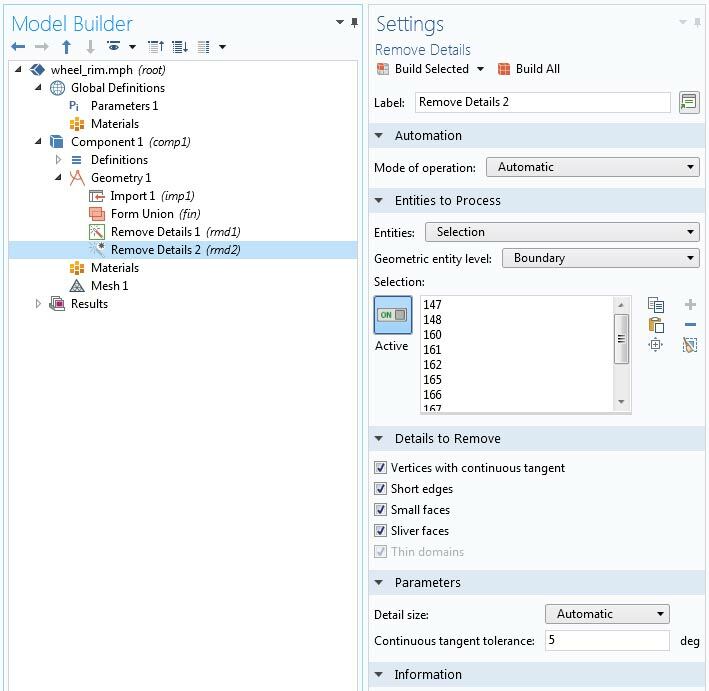 The Adapt operation can now modify the mesh by making a general modification using a combination of refining elements, coarsening elements, and moving points. The operation has a new option: General modification. The bottom mesh shows the result from this adaptation method and the top mesh shows the result before adaptation. You can now select which of the component’s physics interfaces should contribute to physics-controlled meshing. 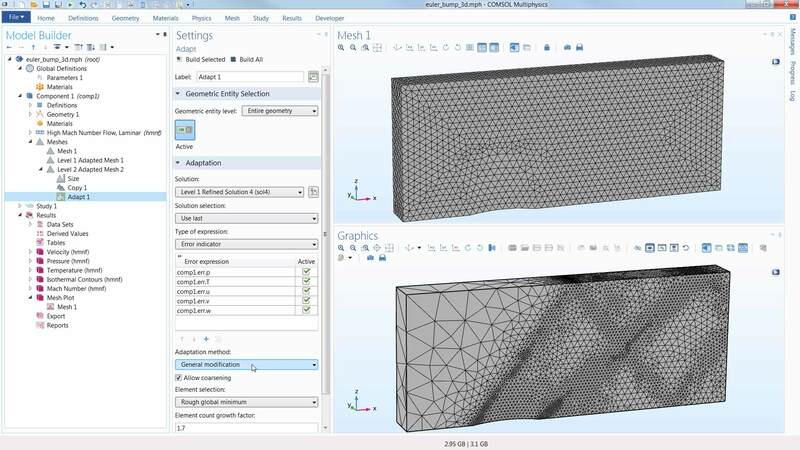 This gives you more control over how you want the software to mesh your model when using multiphysics functionality. 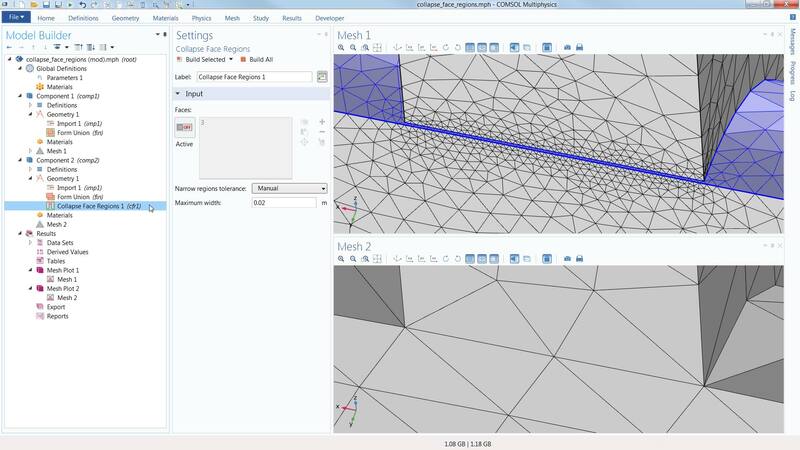 COMSOL Multiphysics® version 5.4 brings a new meshing tutorial model. This tutorial demonstrates both how to partition a 3D part to create a structured mesh, and also how to combine structured and unstructured meshes in the same part.